I know some of our readers are looking for more inspiration to eat healthy and plant-based, or perhaps you are already vegan but want new ideas to spice up your meals! Either way, I thought I would share one of my full days of eating because, honestly, it’s fun to see what everyone is eating! I seriously adore watching all of the vegan YouTubers share what they eat in a day in their videos. It is a great way to get meal inspiration and see just how many new healthy recipes are out there for us to try. It is important to keep in mind that what works for one person will not work for everyone. Everyone has a different lifestyle. You might need more or less calories, more or less proteins, etc. This post is simply for fun and inspiration! 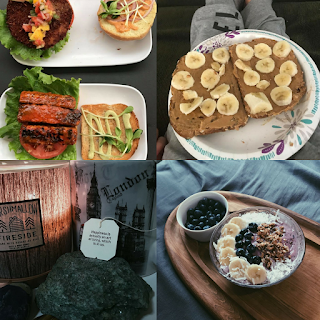 Without further ado, let’s get into what I eat in a day! On this particular day, I treated myself to a Starbucks green tea latte with soy milk. I like to order mine hot and unsweetened because the soy milk already makes it taste super sweet. I bring my own cup because I find it very wasteful to use the paper and plastic ones. Bringing a reusable cup to your coffee shop is a fantastic way to help the environment, and most shops will give you a discount as well! This is one of my absolute favorite drinks to get after I leave the gym in the morning. It gives me energy for class and has some protein from the soy milk. Mainly, it is just delicious. For an actual breakfast, I had a smoothie bowl. This is one of my favorite ways to get in a ton of vitamins and nutrients while also treating my sweet tooth. 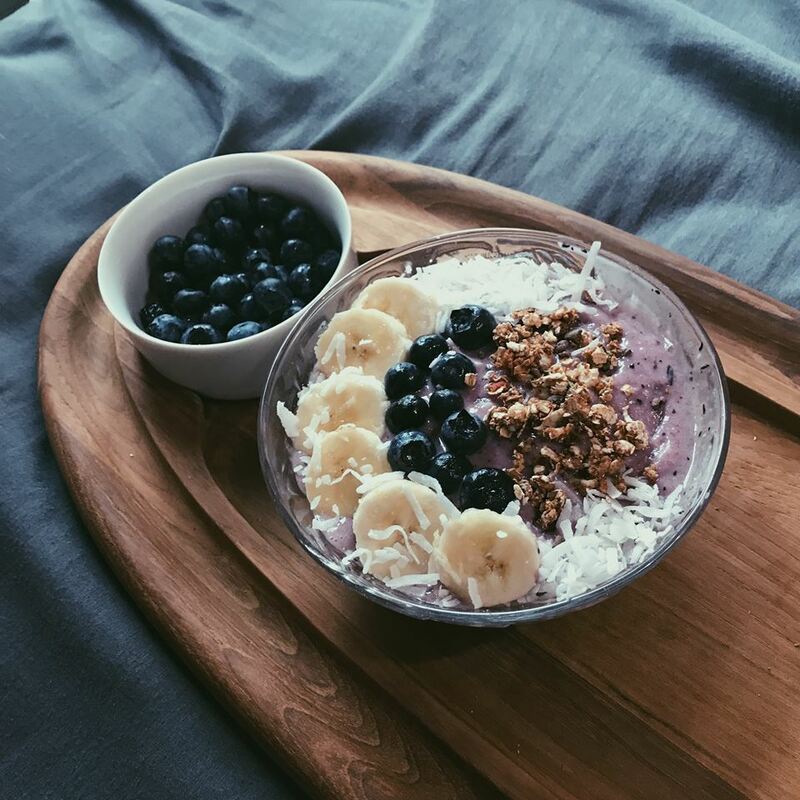 This smoothie bowl was made using frozen bananas, frozen blueberries, a dash of almond milk, and a scoop of vanilla protein powder from Tone It Up. I topped it with bananas, coconut flakes, granola, and extra blueberries. If you have not dried making your smoothie bowl using frozen bananas, I highly recommend trying it! It gives it such a creamy consistency, especially if you don’t use too much milk. Lunch was a super easy toast. I used Dave’s Killer Bread and threw it in the toaster until it was crispy. 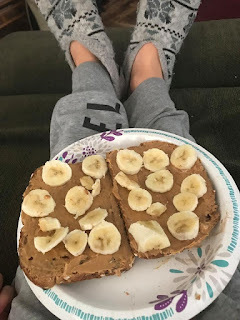 I topped it with a ton of peanut butter (I am an addict), a sliced banana, and cinnamon. 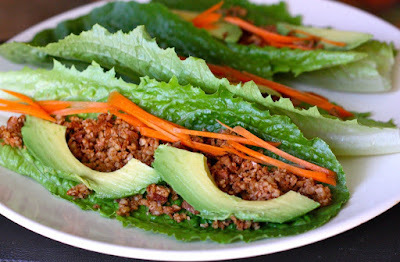 This is such an easy way to get in healthy fats, proteins, and carbs. It is also great to do if you are on-the-go or want something that you can bring to school or work. I decided to go out to a restaurant for dinner. 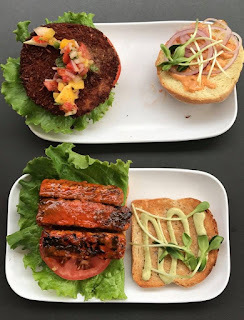 I went to Green Bar & Kitchen in Fort Lauderdale, Florida. This is one of my favorite restaurants because everything is vegan and absolutely delicious. I ordered the Buffalo Tempeh sandwich and it was amazing. I do not go out to eat very often because it can be so expensive. However, there is nothing wrong with getting something special once in a while. Tempeh is a great way to get in high-amounts of protein on a plant-based diet. 100 grams of tempeh has around 18 grams of protein. This sandwich was so good that I am drooling while typing this! I like to finish my nights with a cup of tea. Most nights I reach for dandelion tea. My favorite two brands are Yogi or Traditional Medicinals. 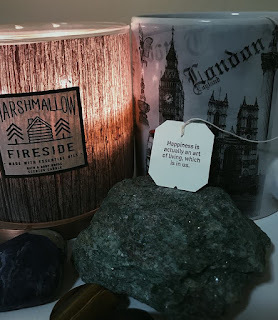 I found dandelion tea to be quite bitter the first few times I tried it, but now I love it! It is wonderful for the digestive system and detoxing. It makes me feel light and refreshed before I go to bed. 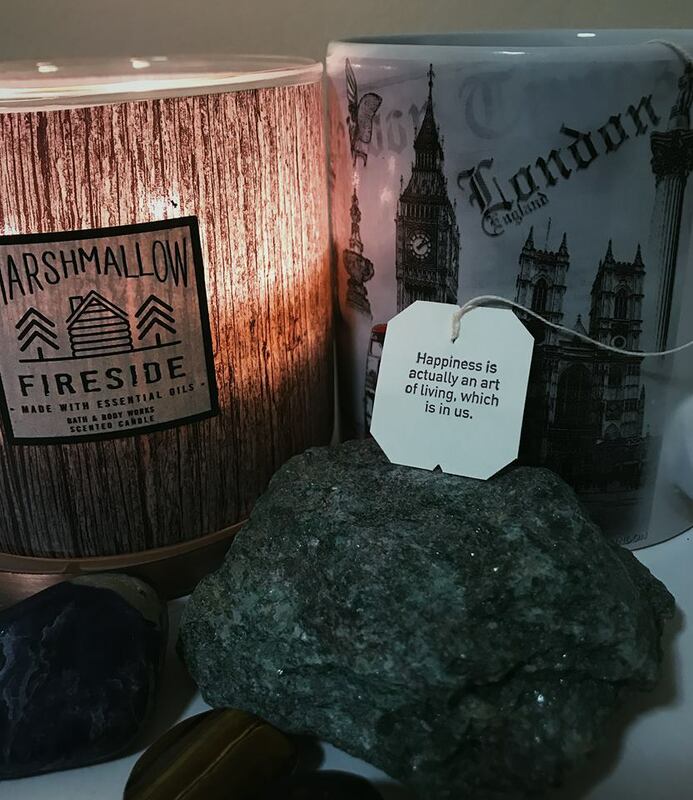 They also come with beautiful and encouraging quotes on them! That was everything I ate on this day. Each day is different for me. Sometimes I eat more raw fruits and salads, sometimes I eat more beans and potatoes, it just depends what my body is asking for that day! I encourage you all to experiment and see what tastes good to you and makes your body feel good. I would love to hear some meal ideas from you, let me know in the comments what you have eaten today!